At Simpson Law Group our semi truck accident attorneys have experience with trucking cases. 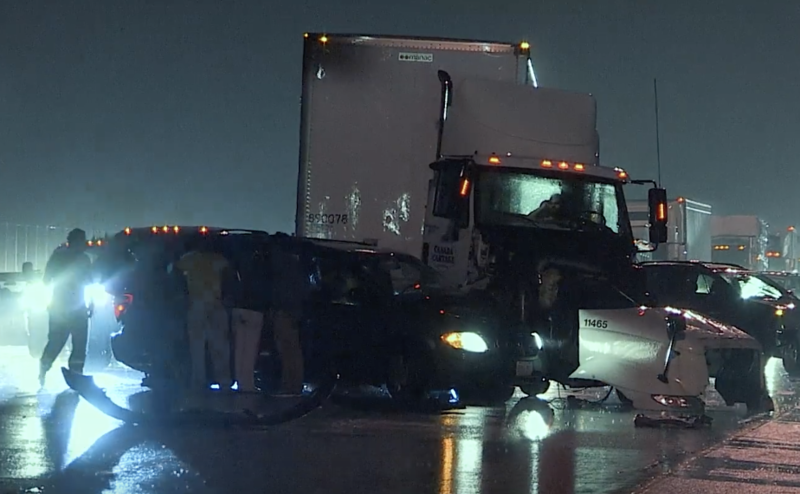 Home > In The News > What is the Average Semi Truck Accident Settlement? What is the average semi truck accident settlement? There is really is no average truck settlement, but typically they settle for a lot more than your typical car crash settles for because the injuries are much more devastating to the occupants in the car or the pedestrians who get hit by the truck. The truck cases that are worth more money take a tremendous amount of work to work out because you have to hire medical professionals and economics professionals to figure out the life care plan for the future. That life care plan can take months to work out, and it can be worth tens of millions of dollars. To try and do that on your own, it’s hard for experienced lawyers to do. For someone without legal training to do it is probably next to impossible. Typically, truck injuries last the rest of people’s lives. They’re not just whiplash or soft tissue that may go away in six or eight weeks. You’re typically dealing with life-lasting injuries, life-long injuries. You need to really roll your sleeves up in what you’re doing because there are a lot of places you can mess up. Every day you’ll think of what might go wrong, and make sure you do things right. With all those complications, you don’t want to hire a firm that doesn’t have experience handling truck cases. At Simpson Law Group our truck accident attorneys have experience with trucking cases. Whether it is local or national, give us a call on 619-236-9696 — we can help you get the compensation you deserve.